Young travellers heading to Scotland to showcase its stunning surroundings with selfies are contributing to an £820million tourism boom. The West Highland line - featured in the Harry Potter films - has conjured up more magic after being named as among the top rail journeys in the world. Tourists travelling on the award-winning West Highland Line are being sorely disappointed by last minute cancellations and delayed works on the line, says an action group. The West Highland line - which was featured in the Harry Potter films - has been named as the top rail journey in Britain for the second year running by a top travel magazine. Officials are reviewing the speed limit at Lochaber’s “Harry Potter” tourist trap, it has emerged. Traffic-besieged residents of a tiny Highland village have lodged plans for what they believe is a potentially life-saving car park for their visitors. Highland community leaders are calling for a cut on the speed limit at two world-famous tourist attractions before a tragedy occurs. A community campaign has been launched to put a stop to escalating parking problems at the famous Glenfinnan Viaduct. An enterprising Fort William couple are set to open a magical new shop in Mallaig for Harry Potter fans getting off the Jacobite Steam Train. It really will be a magical trip for the family. Some of Britain’s most iconic landmarks made from toast… How many do you recognise? To mark its T​oas​t of Britain tour, which aims to spark recognition for the key landmarks ​which ​make the UK iconic, Tefal have re-created some of them from toast. How many do you recognise? Clumsy parking by Harry Potter fans racing to the magical Highland viaduct at Glenfinnan has prompted calls for a speed clampdown at the iconic spot. 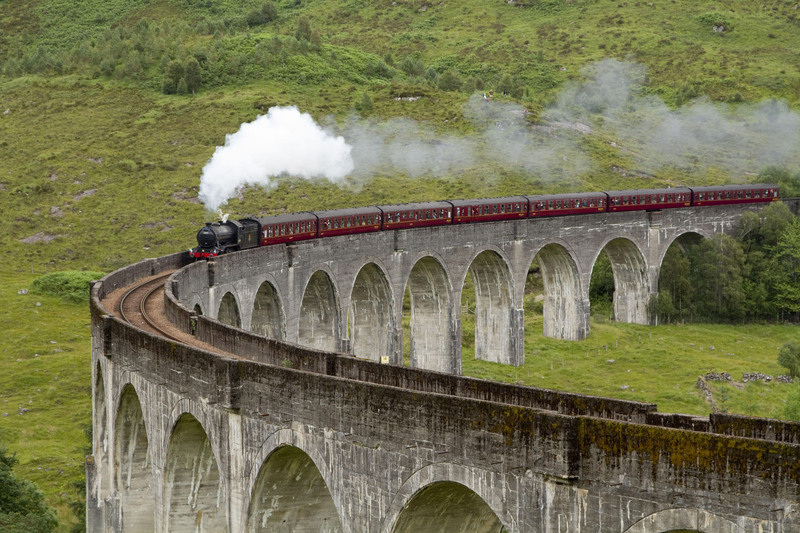 Harry Potter fans have been dicing with death to take photographs of the west Highland railway made famous in the series of movies about the boy wizard.